WONDERFUL OPEN FLOWING PLAN, LOCATED ON QUIET CUL-DE-SAC STREET + AWARD WINNING SCHOOL DISTRICT! 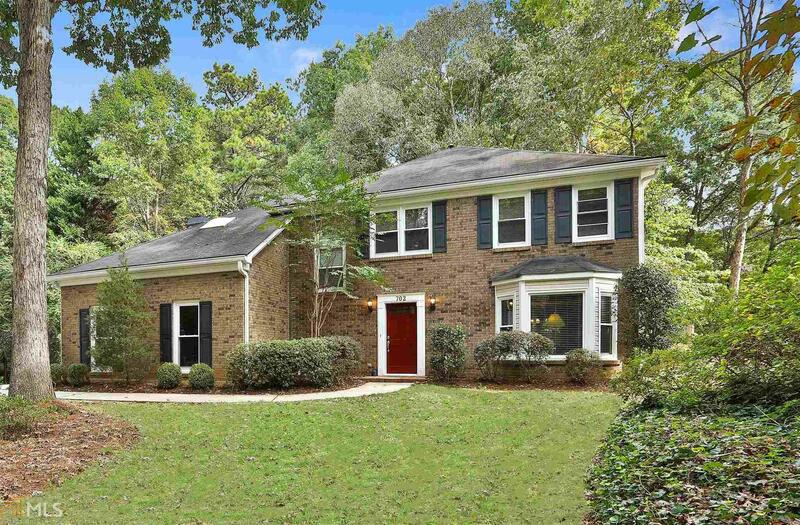 Tons of living space includes entertainment size living & dining rooms, stunning vaulted & beamed great room with floor to ceiling brick fireplace, plus gorgeous sunroom! Pride of ownership shows thru out with beautiful renovations..... Newer kitchen equipped with creamy white glazed cabinets, granite counters, tile back splash & upscale stainless appliances, plus totally remodeled owner&apos;s designer spa bath with raised granite vanity, soaking tub & separate shower! Wide plank hardwood & tile floors on entire main level too! Huge bonus/play room is bedroom 4. Relax on the patio overlooking your own koi pond and waterfall surrounded by lovely shade trees! PERFECT!